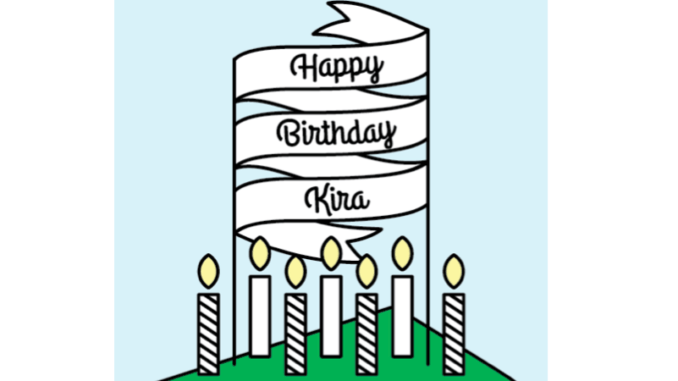 Artificial Lawyer doesn’t often celebrate the birthdays of legal tech companies, but the seventh anniversary of Kira Systems is something special for multiple reasons. When you check out the graphic below you’ll understand – just look at those user figures. The reason why this birthday matters is that along with companies such as RAVN, Neota Logic and Seal Software, Kira has been working solidly for years on building its legal AI capability and a global client base. And now, quite rightly, they are enjoying the benefits of their hard work and success. If the legal world is now genuinely making use of legal AI tech, it is in large part due to the work of companies such as Kira Systems, and their peers. As part of the celebration, Artificial Lawyer is republishing the excellent graphic below, which shows just how Kira has grown, followed by the words of its co-founders, Noah Waisberg and Dr Alexander Hudek. And, if there is anyone reading this out there who still thinks that ‘no-one is really using legal AI systems….it’s all marketing….no-one really wants to change how they do things….’ then, well….what can one say? Happy Birthday, Kira Systems! And thank you for helping to shape the legal AI industry we have today. We definitely had a few bumpy roads to navigate. One memory that makes me smile now, but wasn’t quite so funny at the time, is how a few times we ran demos of Quick Study from a server in my father’s basement. I distinctly remember sitting in an office hoping my father’s internet wouldn’t die again. Of course, we had proper production systems at the time for client data, but Quick Study was still in development. Looking at our team that’s now 75-people strong, it’s hard to believe that in January 2011 it was just Alex and me. Our idea from the very beginning was that if we built it, they would come. The last couple of years have been especially rewarding, because that seems to have been the case – we have so many new customers that we’re excited to work with and it’s because of the hard work that went into building a good product. I’m really glad now that we have that foundation – it means we can keep building and improving, except now we can do it so much faster than we used to because of all the great people that have come on board. Adding a new feature that would have taken two developers three or four months to build used to be a lot more challenging than it is today. Our customers are some of the best professional service firms and companies in the world, so we need to make sure we’re always responsive to their needs.